It's cruising but definitely not as you know it! 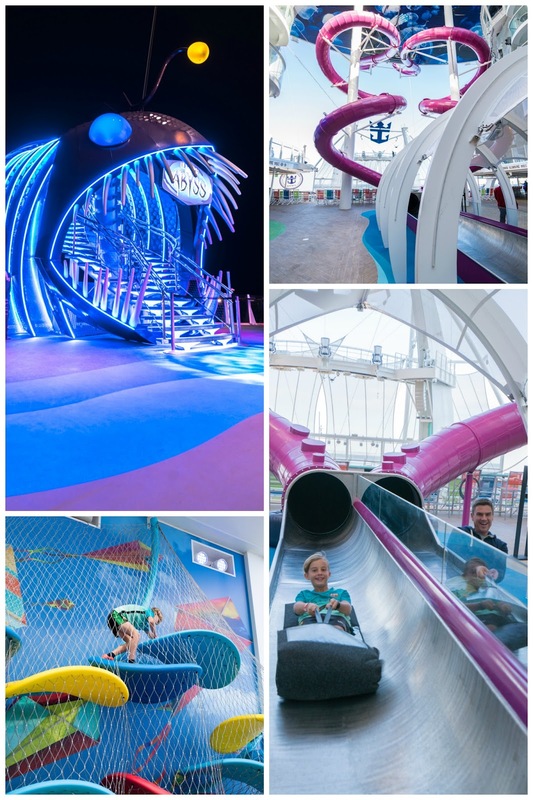 Forget anything you've ever thought about going a cruise because Symphony of the Seas blows this right out of the water. 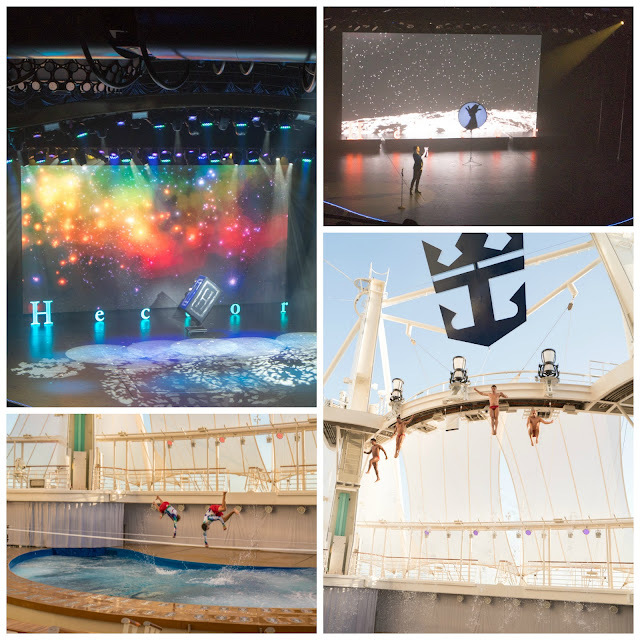 When Royal Caribbean asked me to join them on the maiden voyage of Symphony of the Seas around the Mediterranean, it wasn't a hard decision! 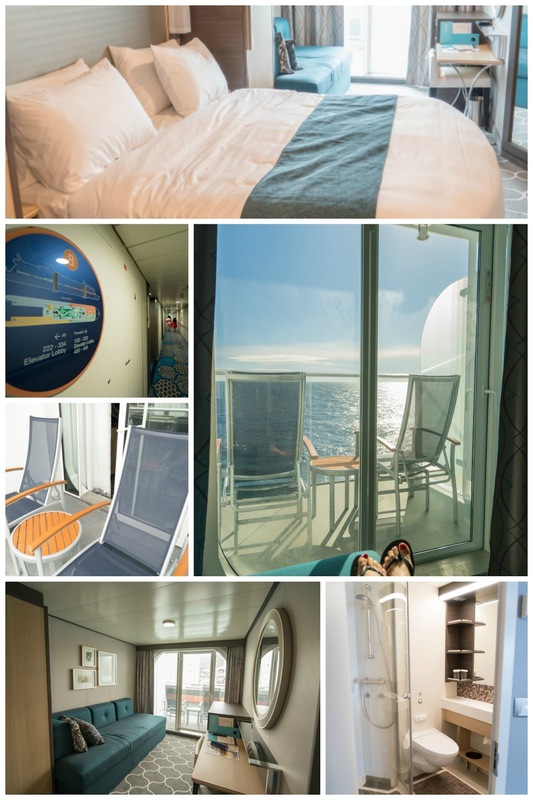 In the weeks leading up to the cruise, there was huge media coverage about the launch of the world's largest cruise ship that even reached our national news here in NZ and fuelled our excitement further. I'll always remember our first glimpse of Symphony of the Seas as we crossed over the bridge to the port in Barcelona, I really wasn’t prepared for just how big it was At 18 decks high and a length of 360 metres (that's 3 football fields long people! 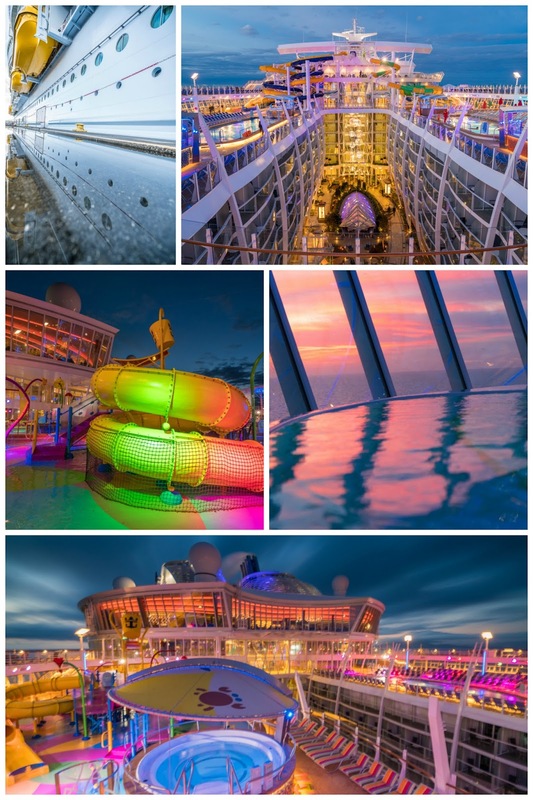 ), from the moment you step on board it's like entering an incredible city that just happens to be floating along with up to 6,800 people and over 2,000 crew! But it never felt too busy either (I hate crowds), I don't think you'd ever have known there were thousands of people sailing along with you. 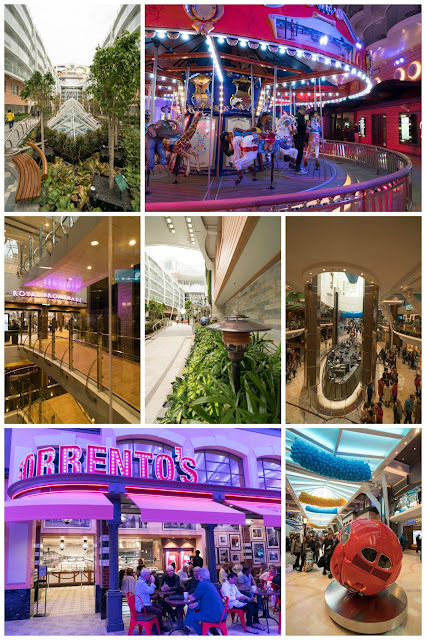 The ship has 7 neighbourhoods and 19 restaurants and our stateroom was near Central Park which housed some of the best restaurants and cafes. We had an ocean view room with balcony and it was surprisingly spacious - the couch turned into separate trundle beds for the two kids and there was plenty of room for us to put our luggage away so we always felt like we had oodles of space. One of my favourite moments was waking up and standing on the balcony to see the ship coming into port in a brand new country or city every day - such a cool feeling! 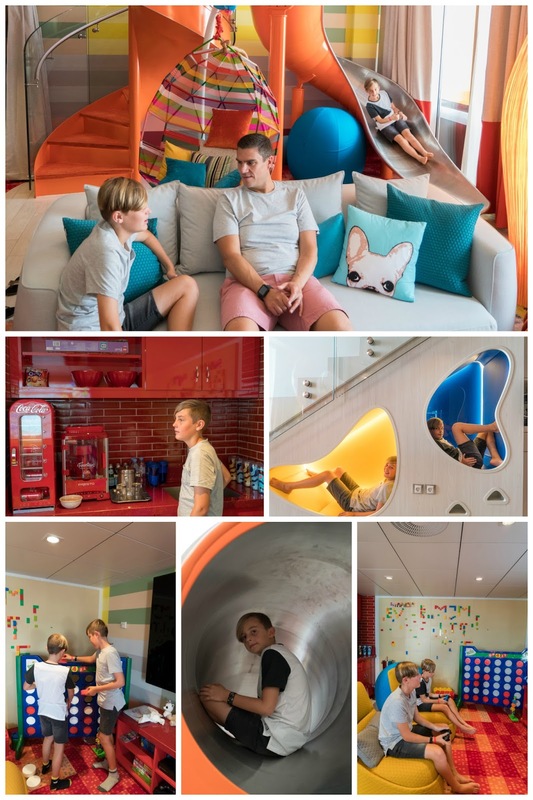 A highlight of the week was getting a sneak peek into the Ultimate Family Suite (a brand new suite that’s only available on Symphony of the Seas). The kids had a field day trying out the slide from the bedroom down to the living area, playing Giant Connect 4 and checking out the games consoles. The suite comes equipped with its own hot tub and kids climbing wall outside as well as its own Royal Genie who looks after the family’s every wish during the week. I need one of those at homeI think! Do you have kids who go stir crazy indoors? Send them off to the sports court to play football or basketball. If you’re an exercise bunny who doesn’t want to miss a daily workout, head down to the gym or the outdoor jogging track. 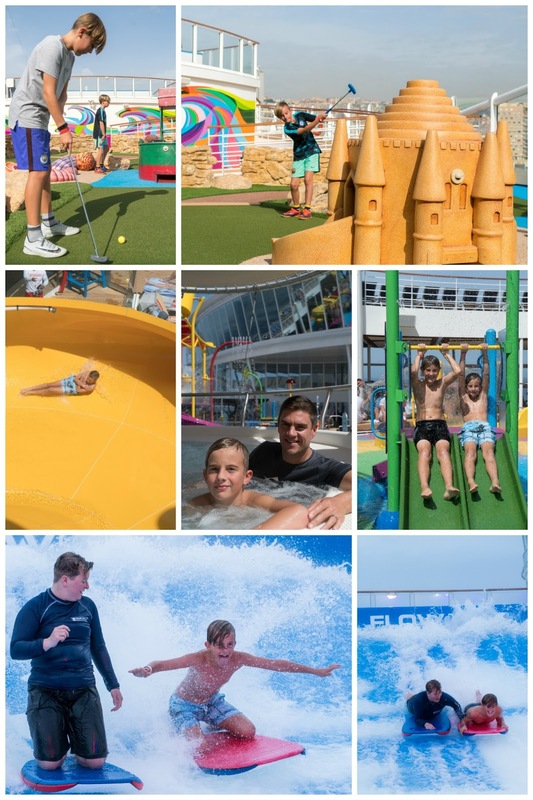 And if you love the thrill of adrenaline action, grab a ride on the zip line 10 stories high or race down the Ultimate Abyss (the world’s tallest slide at sea) at break neck speed - you’re guaranteed to let out a few shrieks of excitement along the way. 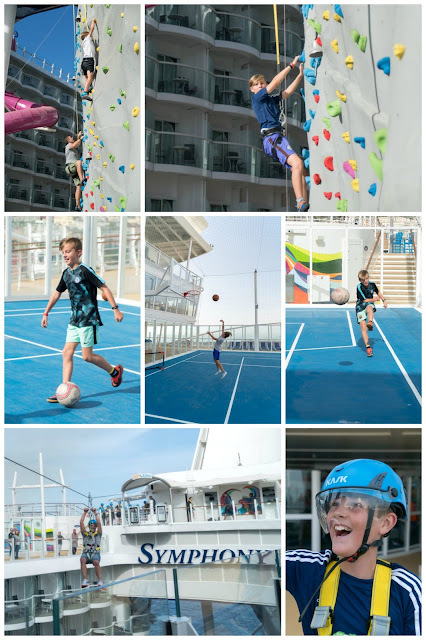 We only had one full day at sea at the end of the cruise but there was also time in the afternoons and evenings once we were back on the ship to explore all that was on offer like rock climbing, mini golf and laser tag. And the weather certainly saved its best till last with a glorious blue sky day as we cruised from Naples back to Barcelona so we could enjoy the waterslides and Flow Rider. When daylight fades Symphony of the Seas becomes even more beautiful at night, and the fun doesn't stop there. There are so many entertainment options you're unlikely to find yourself in bed much before midnight: a magic show, acapella music, ice skating, Hairspray musical and the amazing Aqua Nation, a brilliant combination of diving, acrobatics and tight rope walking presented by a group of talented multi national performers. The two tightrope walkers were my favourite. Not only did they perform an amazing act on flexible tightrope bands just above the water, later they walked across a high-wire tightrope a few stories above our heads which is no mean feat considering we were on a moving ship. The caves are at the north of the island of Mallorca and are vast, rivalling any cave system I've ever seen hosting the largest underground lake in the world and the clarity of the water and the number of stalactites and mites were incredible. 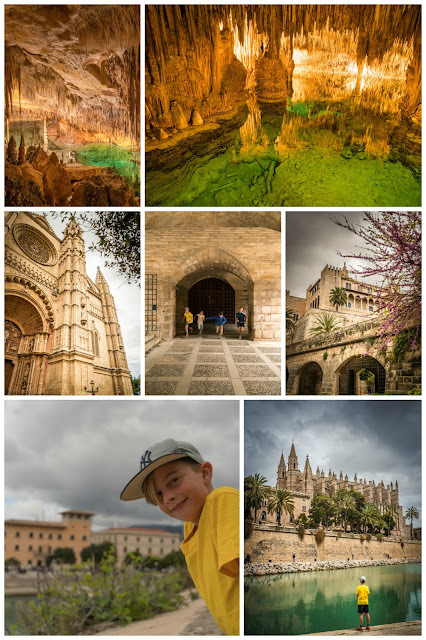 Afterwards we spent some time wandering the streets near the beautiful cathedral in Palma de Mallorca. 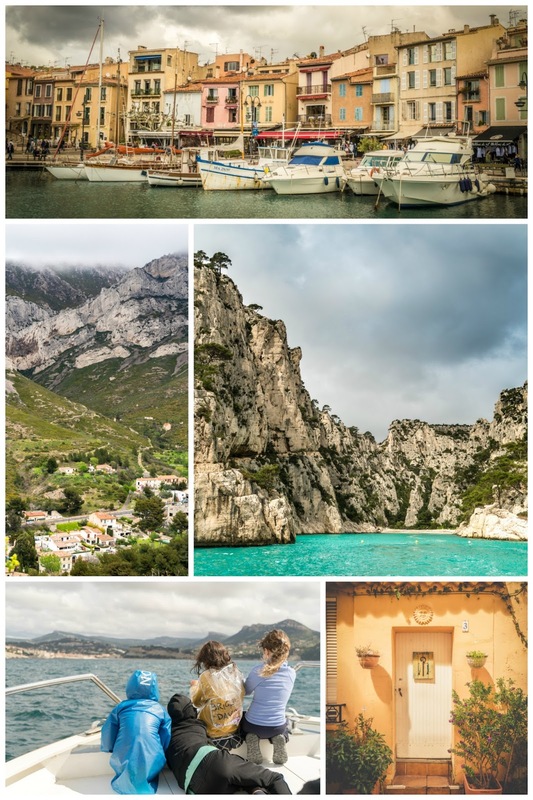 The pretty fishing village of Cassis lies east of Marseille and is the gateway to the beautiful Calanques National Park created in 2012 - a vision of contrasts with sheer white cliffs dropping down into brilliant turquoise bays, some only accessible by boat. 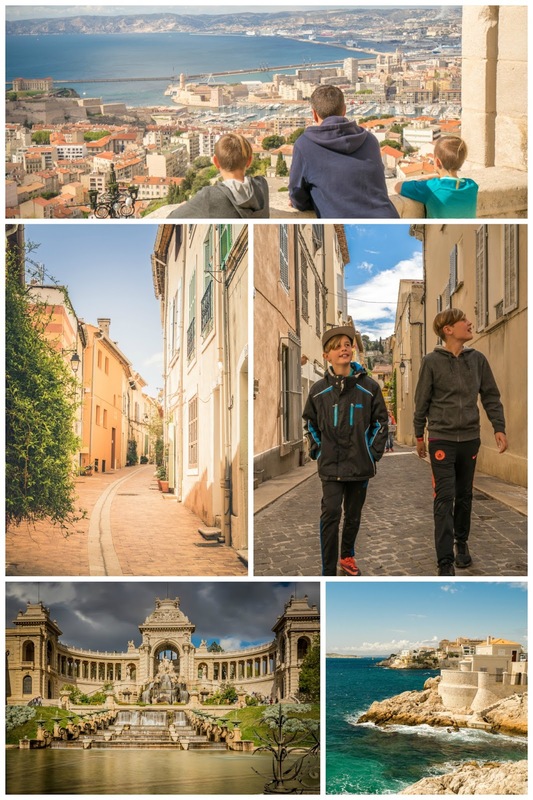 I could have wondered the narrow streets of Cassis with its colourful houses and doorways all day but it was time to head back into Marseille where the sun finally came out and we enjoyed the panoramic views from Notre-Dame de la Garde - the basilica high above the city and drove back to the ship via Palais Longchamp - an incredible monument with waterfall - that scratched my waterfall itch! We started our explorations in the port of Portovenere before jumping aboard a boat to explore the whole coastline of Cinque Terre - the best vantage point to appreciate the beauty of these towns clinging to the Italian hillside. Unfortunately the weather was a bit challenging that day and the raincoats and umbrellas came in very handy. It didn't detract from the beauty of the place and the fact it was our birthday on this day (yes hubby and I share the same birthday and it's still WEIRD after 20 years together!) made this outing even more special. What can I say about Rome? It's one of those places that is both overwhelming and hugely impressive at the same time. The day we visited was rather busy as the Pope had an audience outside St Peters basilica but we made the best of the day with a walking tour through the city. 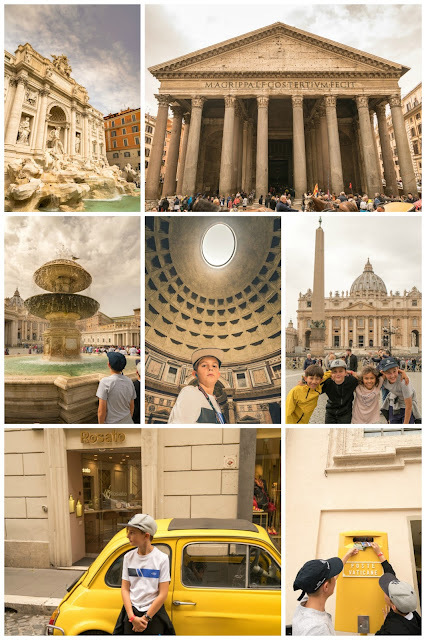 As amazing as all the great sights were they were also rammed with tourists and we found wandering the little side streets the most enjoyable part - never knowing what you'd find like a shop selling papal robes and men packing fresh fish on ice. 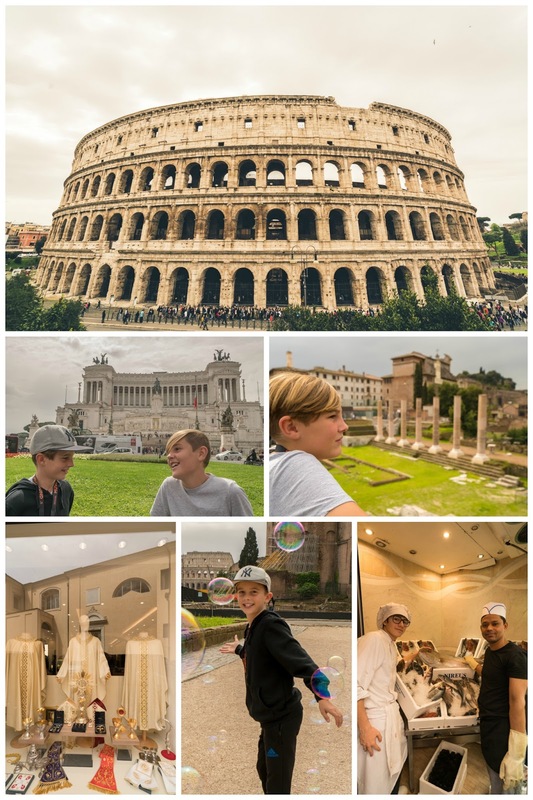 The kids also loved the opportunity to send a postcard from the Vatican City (the smallest country in the world) back to their schools in New Zealand. 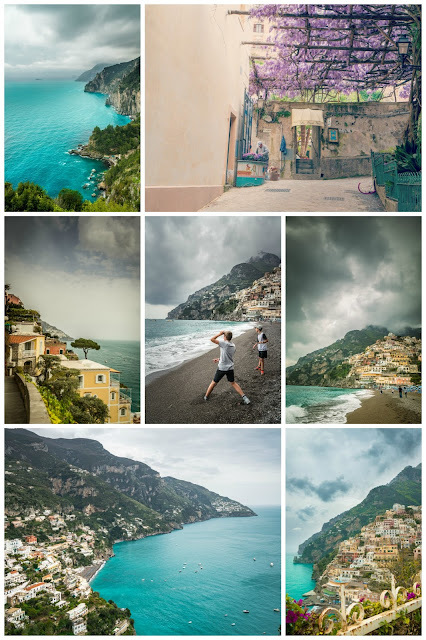 The drive from Naples along the Amalfi Coast is jaw-dropping gorgeous around every corner and although we only had enough time to explore the town of Positano it was enough to give us a tantalising flavour of this coastline. 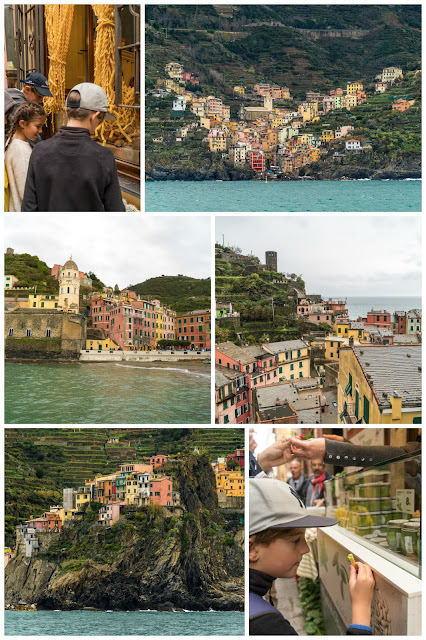 John Steinbeck famously quoted 'Positano bites deep. It's a dream place that isn't quite real when you are there and becomes beckoningly real after you have gone'. So true. It doesn't matter whether you're a seafood lover or a pasta fiend, there's something for everyone onboard Symphony of the Seas. That meant we hardly saw our kids the whole week (some would say that was a good thing!). They made firm friends early on with two kids their age and the four of them hung out together, going off to Windjammer for a buffet dinner fit for kings. I’m pretty sure no vegetables were consumed the entire week, all I heard was talk about the chocolate fountain and crepe making stations. After that they’d go have a blast at Adventure Ocean (the kids club) in the evenings. This meant Mark and I had several meals out as a couple (that never happens) which was bliss! 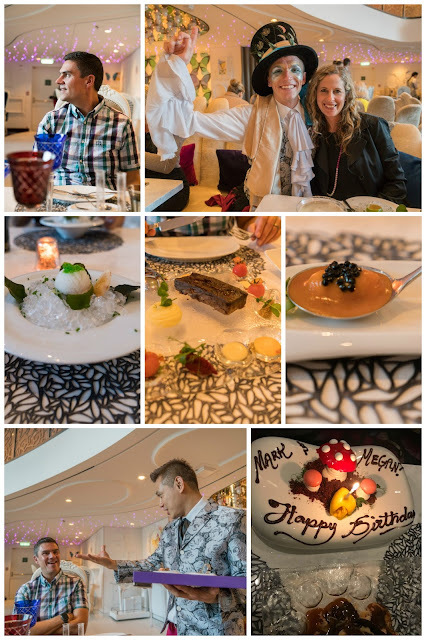 Of the free options the Solarium bistro was my favourite with its upmarket offerings like mozzarella and cherry tomato skewers and macarons for dessert. 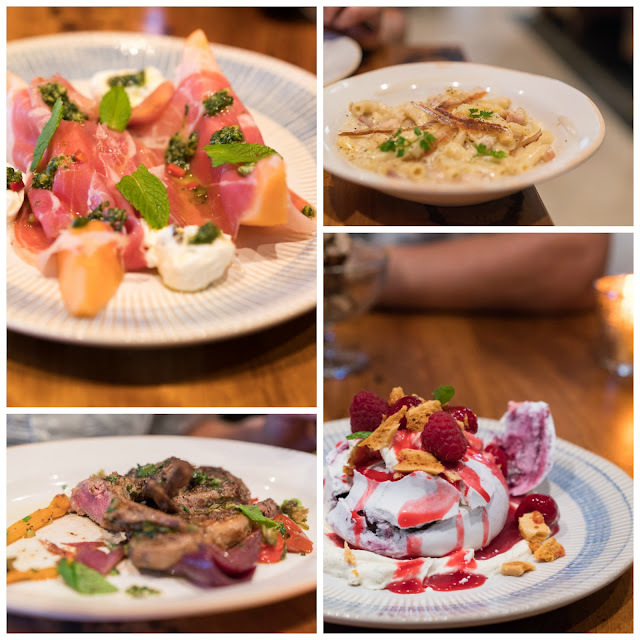 Though Jamie’s Italian came a close second (pictures above), the highlight of the week was the visual and gastronomical feast at Wonderland we had for our combined birthday dinner (pictured below). It’s hard to describe what the unusual combinations of food flavours and presentations were like but as The Mad Hatter said to us on the night ‘it’s like going down the rabbit hole’ and it really was as if we had found ourselves eating in an alternate fantasy universe. It'll be hard to beat that for a birthday meal as long as we live! The day was topped off further when we discovered our room decked out in birthday decorations and a bottle of bubbly on ice waiting for us. Talk about spoilt! We only discovered the Bionic Bar about 4 days into the cruise, and were kicking ourselves we didn’t try it sooner. 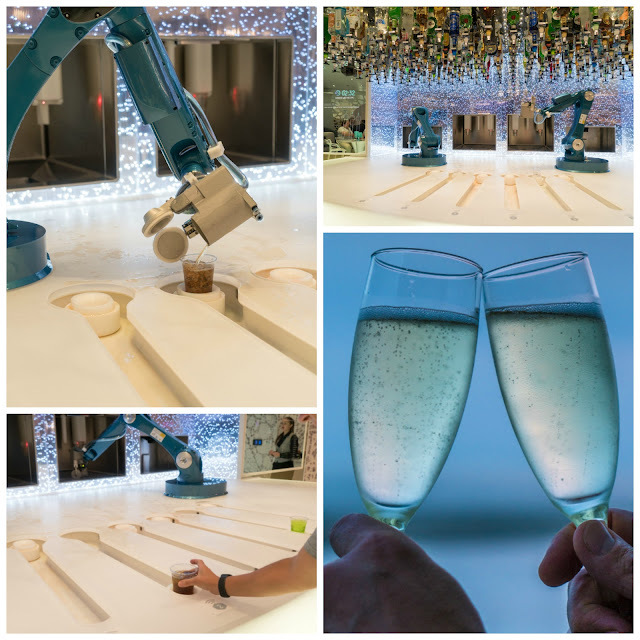 Rocking up to a table with its own device, you simply choose a drink from well-known cocktails (alcoholic or not) or make up your own version with ingredients and the very efficient robots jive away in the background making your drink and delivering it effortlessly in under a couple of minutes. It was kinda addictive! 5. You won't want to LEAVE! Everything is made easy with your Seapass card. Not only does it act as a credit card if you want to purchase extras while while onboard, but it also acts as your passport when disembarking in different countries. Just don't lose it like we nearly did when one of the kids dropped theirs in the Drach Caves on our first excursion! 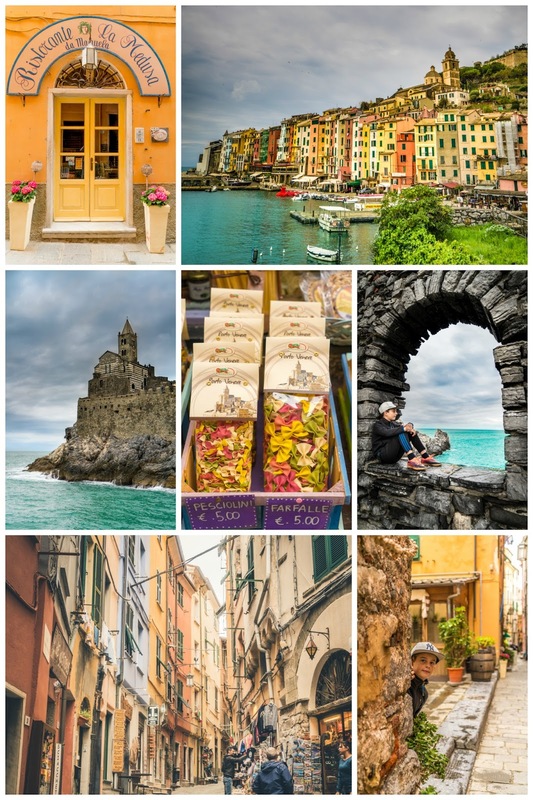 Plan in advance for the specialty restaurants and shows you want to see and book these as soon as you get onboard. Being novices, we just cruised along (pardon the pun) for the first couple of days and then found it tricky to try and fit everything in. We did manage to walk into a few shows and restaurants but plan ahead and you'll have more chance to do everything you want. If you're worried about the ship movement, please don't! Most of the time you wouldn’t have known we were moving, there was only 1 night where we felt a bit of a roll while sleeping which I likened to sleeping on a waterbed, and the sound proofing on board was great - we never heard a thing from our room. It's hard to do justice to this incredible experience in words alone so I'll leave you with a short video that does a grand job showing off just how incredible our time onboard Symphony of the Seas was. This post is sponsored by Royal Caribbean but all thoughts and experiences are my own.